The most vital security tip that an expert would offer you when it comes to dealings online would be “use a secure and hack-proof password”. Password is part of us; it’s required to keep accounts online for different purposes. To keep your accounts safe from hackers online, you have to avoid those common and dangerous passwords. Below is an infographic that explains how your accounts passwords can be secure and hack-proof. 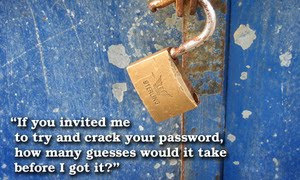 Provided you are still using a weak password, I will advise you to check the tips for setting up a strong password.